"This is a classic Italian dish made easy and filling with the addition of precooked sausage. Fresh nutmeg makes a big difference in the recipe. If you get the chance, try it with fresh!" Melt butter in a small saucepan over medium-low heat; whisk flour into the melted butter until dissolved, 5 to 10 minutes. Season with salt and white pepper. Pour milk into the flour mixture; cook and stir until sauce is smooth and thickened, 10 to 15 minutes. Bring a large pot of lightly salted water to a boil. 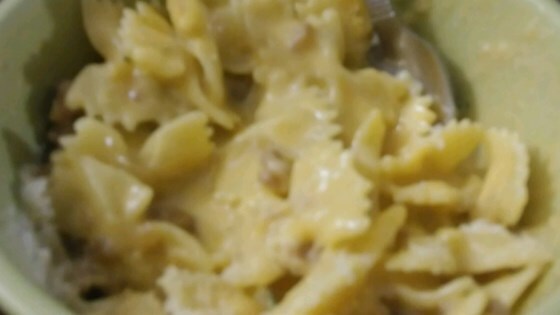 Cook pasta in the boiling water, stirring occasionally until cooked through but firm to the bite, 12 minutes. Drain and transfer to a serving bowl. Remove sauce from heat and stir in egg yolks and nutmeg until well incorporated. Pour sauce over pasta; toss to coat. Cook and stir sausage in a skillet over medium heat until browned and cooked through, 5 to 10 minutes. Stir sausage into pasta; season with salt and white pepper. Watch Chef John make this incredibly creamy ricotta and pesto pasta sauce. way too much pasta to meat... flavorless!! Very thick and creamy, but not much flavor. I would not add the nutmeg again. I would, however, add garlic and onion, and more sausage. The sauce is very thick and heavy!